After winning the toss and fielding first Darlington got off to a good start with the bat, only for Richmondshire to fight back with some tidy bowling from Tom VanNiekirk 2-1-7-0, debutant Cameron Clarke bowling a lively pace only going for 3-0-8-0 and Will Sharp playing his first game of the season after injury taking a wicket 1-0-2-1. With everyone fielding well, Darlington finished on 109 for 2. In reply Richmondshire lost steady wickets before Joe Syddall and the big hitting Gabriel Stewart came together to take the game to a tense final few overs. Before Joe was run out for 23, Gabriel finished on 24 not out. 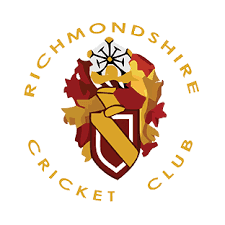 Richmondshire lost by 10 runs finishing on 99 for 5. A good all round team performance that everyone should be proud of.